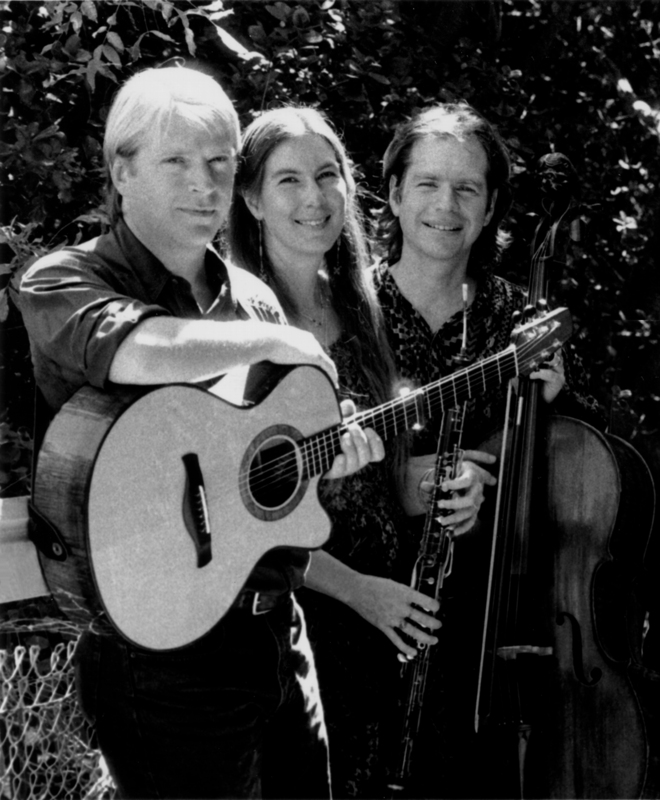 February 11, 2009, 9:30 p.m., Teja Gerken's Acoustic Guitar Showcase: on the exact 30th anniversary of the first Ancient Future concert, Matthew Montfort (scalloped fretboard guitar) sits in and returns to the Sleeping Lady Cafe, 23 Broadway, Fairfax, CA 94930. Info: 415-485-1182. Wednesday March 4, 7:00 p.m. Serenades by Matthew Montfort (scalloped fretboard guitar), Benefit for Non-Violent Peaceforce, Private Home, San Francisco, CA 94110. RSVP to smaurin@aol.com, 415-285-3426 (RSVP necessary). Thursday, March 5, 7:00 p.m. Benefit for Non-Violent Peaceforce, First Presbyterian Church, 1510 5th Ave, San Rafael, CA 94901. Co-sponsored by Marin Interfaith Council. RSVP to npevent@comcast.net, 415-491-2373. Wednesday, March 11, 2009, 9:30 p.m., Acoustic Guitar Showcase with Teja Gerken, Eric Schoenberg, and Matthew Montfort (scalloped fretboard guitar), Sleeping Lady Cafe, 23 Broadway, Fairfax, CA 94930. Info: 415-485-1182. Saturday, April 25, 6:00 p.m., Pandit Habib Khan (sitar, composition), Matthew Montfort (scalloped fretboard guitar), George Brooks (sax), M. Nejad (violin), many others, Mexican Heritage Theater, 1700 Alum Rock Ave., San Jose CA 95116. Admission: $20 and $15. Info: 408-528-0786, 408-996-2446, 650-255-9752. 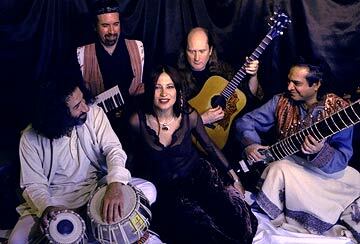 Friday, June 5, 2009, 7:00 p.m., Emam and Friends featuring Matthew Montfort (scalloped fretboard guitar), Gari Hegedus (oud, mandocello, violin), Josh Massad (percussion), and Emam (tabla, percussion), The Frick Art & Historical Center, 7227 Reynolds Street, Pittsburgh, PA 15208. Admission: Suggested donation is $5.00 per adult. Info: 412-371-0600. Saturday, June 6, 2009, 7:30 p.m., Matthew Montfort (scalloped fretboard guitar), and Emam (tabla, percussion), Yoga Matrika, 6520 Wilkins Ave., Pittsburgh, PA 15217. Admission: $15 / $10 Students. Info: 412-855-5692. Thursday, June 11, 11:00 p.m. Serenades by Matthew Montfort (scalloped fretboard guitar, glissentar), Live In Studio A on KDVS 90.3 FM, streaming live online at www.kdvs.org, Davis , CA 95616. Sunday, June 14, 8 p.m., Serenades by Matthew Montfort (scalloped fretboard guitar, glissentar), Harbin Temple, Harbin Hot Springs, Middletown, CA 95461. Suggested donation: $10. Info: 707-987-2994. Download concert poster: 6/14/09 Harbin.pdf (940 k). Friday, June 19, 1 p.m., Avotcja Interviews Matthew Montfort on La Verdad Musical, KPOO-FM 89.5, streaming live online at www.kpoo.com, San Francisco, CA 94115. Friday, June 19, 7:30 p.m., Seven Serenades for Scalloped Fretboard Guitar CD Release Party featuring Matthew Montfort, Open Secret, 923 C St., San Rafael, CA 94901. Tix: $12. Info: 415-457-4191. Download concert poster: 6/19/09 Open Secret.pdf (940 k). Sunday, June 21, 11:30 a.m., Serenades by Matthew Montfort (scalloped fretboard guitar, glissentar), Please Stand By on KPIG (1510 AM), streaming live online at www.kpig.com, Watsonville, CA 95076. Thursday, June 25, 8:00 p.m., Acoustic Guitar Double bill featuring Matthew Montfort (Seven Serenades for Scalloped Fretboard Guitar Guitar CD Release Party) and the William Coulter Trio with Barry and Shelley Phillips (hi-rez group photo), Don Quixote's International Music Hall, 6275 Highway 9, Felton, CA 95018. Tix: $15. Info: 831-603-2294. Download concert poster: 6/25/09 Don Quixotes.pdf (712 k). Friday, July 17, 11 p.m., Rhyshenda Owens interviews Matthew Montfort on 'Esoterica,' KPFZ 88.1 FM, Lakeport, CA 95453. Sunday, July 19, 11 p.m., Dean Suzuki interviews Matthew Montfort on 'Discreet Music,' KPFA 94.1 FM, streaming live online at www.kpfa.org, Berkeley, CA 94704. Wednesday, July 22, 12:30 p.m., Sunshine interviews Matthew Montfort on 'Sunshine ... In the Afternoon,' KZSU 90.1 FM, streaming live online at kzsulive.stanford.edu, Stanford, CA 94309. Thursday, July 23, 11 a.m. Rebroadcast of Rhyshenda Owens' interview with Matthew Montfort on 'Esoterica,' KPFZ 88.1 FM, Lakeport, CA 95453. Saturday, July 25, 8:00 p.m., Romantic Serenades for Guitar and Piano featuring Matthew Montfort: Seven Serenades for Scalloped Fretboard Guitar CD Release Party, Seth Montfort: Latin Piano Serenades by Granados, Copland/Bernstein, Villa-Lobos & Montfort, and Sandra Simich: Romantic Piano Music by Chopin, Music Inside Out & Center, 16375 4th Street @ Mill (across from the Russian River Resort), Guerneville, CA 95446. Tix: $10. Info: 707-604-7600, email: seth@sfconcerto.org. Download concert poster: 7/25/09 Poster.pdf (820 k). Sunday, July 26, 8:00 p.m., CD Release Party for 3 Releases Celebrating 30 Years of World Fusion Music featuring the band Ancient Future, Serenades by Matthew Montfort (scalloped fretboard guitar), and Mariah Parker's Indo Latin Jazz Ensemble, Freight & Salvage Coffeehouse, 1111 Addison Street, Berkeley, CA 94702. Tix: $18.50 in advance, $19.50 at the door. Info: Call 510-548-1761. Download concert poster: 7/26/09 Freight.pdf (900 k). Saturday, August 15, 8 p.m., Serenades by Matthew Montfort (scalloped fretboard guitar, glissentar), Joe Fajen (tabla, percussion), The Cozmic Cafe, 594 Main St., Placerville, CA 95667. Tix: $10 adv, $12 door. Info: 530-642-8481. Download concert poster: 8/15/09 Cozmic Cafe.pdf (680 k). Tuesday, August 25, 8:00 p.m., CD Release Party for Sangria featuring Mariah Parker's Indo Latin Jazz Ensemble with featuring Mariah Parker (piano, santur), Paul McCandless (woodwinds, horns), Matthew Montfort (guitars), Kash Killion (bass, cello), Mindia Devi Klein (bansuri), Duru Demetrius (Latin percussion), Debopriyo Sarkar (tabla), Yoshi's Jazz Club, 510 Embarcadero West, Jack London Square, Oakland, CA 94607. Tix: $15 Info: Call 510-238-9200 or visit yoshis.com. Download concert poster: 8/25/09 Yoshi's.pdf (564 k). Saturday, October 3, Evening TBA, Silicon Andhra Cultural Festival featuring Pandit Habib Khan (sitar), Matthew Montfort (scalloped fretboard guitar), and George Brooks (saxophone), Silicon Andhra Cultural Festival, Flint Center, De Anza Collge, 21250 Stevens Creek Blvd, Cupertino, CA 95014. 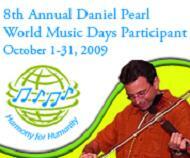 Sunday, October 11, 8 pm, KKUP World Music Marathon, 91.5 FM, Santa Clara, CA 95050. Live on the air. No webcast. Saturday, October 17, 7:30 p.m., Benefit Concert for the Sierra Nevada Guitar Society: An Evening of Ancient and Modern Guitar Music from Around the World with Matthew Montfort (scalloped fretboard guitar, Glissentar) and opening act Larry Aynesmith (Classical Guitar), Trinity Episcopal Church, 200 Island Avenue, Reno, NV 89505. Adm: $15.00 Adults, $10.00 Seniors, $5.00 Students. Tickets at door, or online at www.sierraguitar.org. Info: Email or sierraguitar@yahoo.com call 775-321-8584. Download concert poster: 10/17/09 Sierra Nevada Guitar .pdf (448 k). Wednesday, November 11, 9:00 p.m., Acoustic Guitar Showcase with Teja Gerken, Az Samad, and Matthew Montfort (scalloped fretboard guitar), Sleeping Lady Cafe, 23 Broadway, Fairfax, CA 94930. Info: 415-485-1182. Sunday, November 15, 7:30 p.m., Bay Area Performances Presents: Cornucopia: An Evening of East West Music and Dance featuring Pandit Habib Khan (sitar), Matthew Montfort (scalloped fretboard guitar), George Brooks (saxophone), Salar Nader (tabla), Ramesh Srinivasan (mridangam), John Waller (drums), and Richa Shukla (Kathak dance), Hofmann Theatre, Lesher Center for the Arts, 1601 Civic Dr., Walnut Creek, CA 94596. Adm: reserved seating $35 and $25. Seniors and students $5 off. Available at the Hofmann Theatre Box Office 925-943-SHOW (7469). Info: call Phabha Gopal at 925-947-1908. Due to decades of arts cutbacks, many of the presenters most supportive of world fusion music have suspended operations or are cutting their seasons. For our 30th Season, we need your help to replace lost operating income caused by diminished arts support. Donations are tax deductible. More info. January 1-3, 2010, 8:30 p.m. 1/1/2010 through 11:30 am 1/3/2010, World Music Workshop, Esalen Institute, Highway 1, Big Sur, CA 93920. Cost: Workshop alone: Regular Rate- $385. Friends of Esalen Rate- $335. With Bunk Bed Room: Regular Rate- $530. Friends of Esalen Rate- $480. With standard accommodations: Regular Rate-$670. Friends of Esalen Rate- $620. Standard accommodations are shared housing with two or three persons per room. Contact Esalen for other options. Reservations: 831-667-3005. Reservations: 831-667-3005, Registration Form: www.esalen.org/assetts/RezForm.pdf. Fax: 831-667-2724. Email: info@esalen.org. Download event poster: 01/01/10 Esalen Workshop.pdf (628 k). Full Press Release.